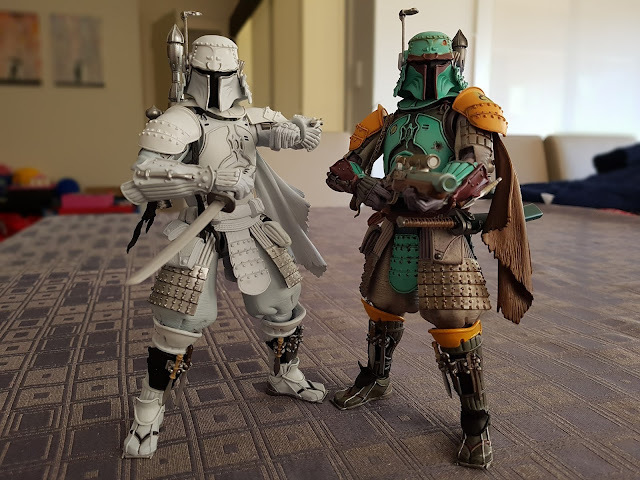 The Bandai Star Wars Movie Realization has been a unique series of Star Wars figures that I have loved from the very beginning. 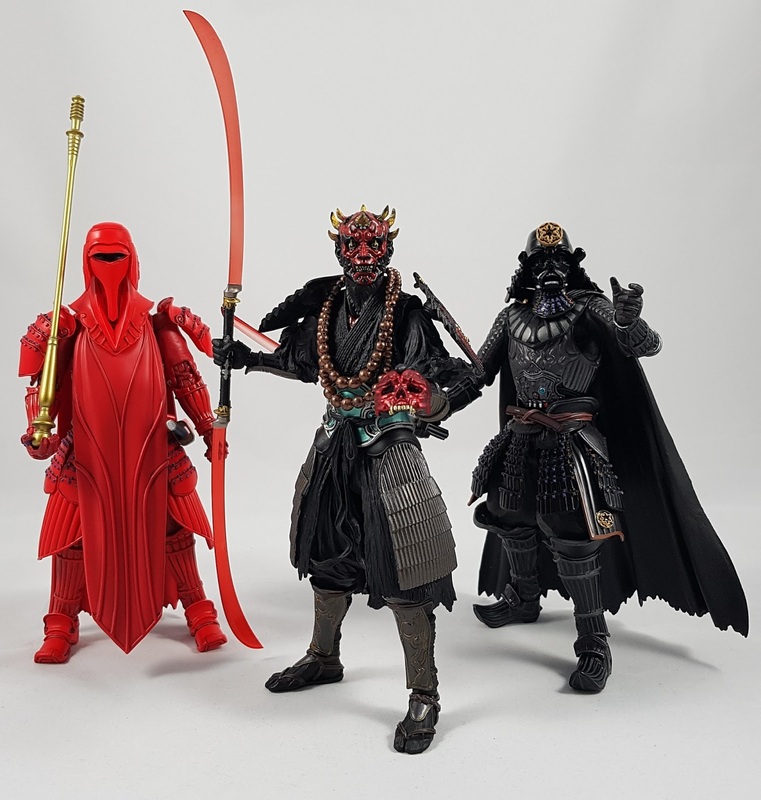 Bandai have been pretty slow at releasing new characters though, so any new mold is something to watch out for and add to the collection. 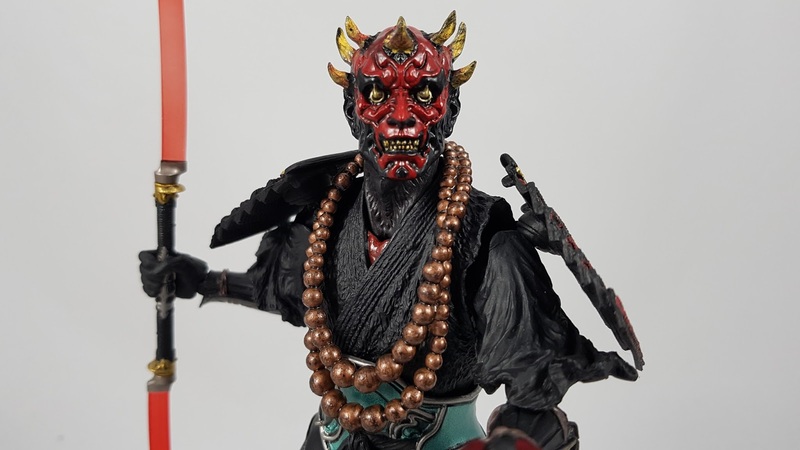 The new Darth Maul is no exception, and right up there with the best from the series so far. Click through below to watch my full video review over on the Kool Kollectibles YouTube channel. Scroll further down too for some more thoughts and photos. The box art is the usual classy style in this series, with a great pic of the figure on the front and the array of poses and accessories shown on the rear. The figure doesn't come with too much, but what you do get is of high quality and goes well with the figure. 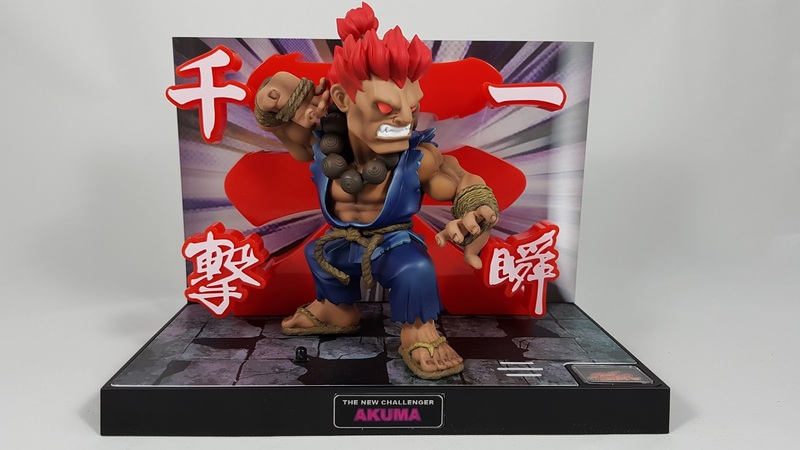 The articulation on the body is as you would expect, and is consistent with the previous figures in the series. The kama around his waist and legs is a softer material that does not hinder the movement of the legs too much. 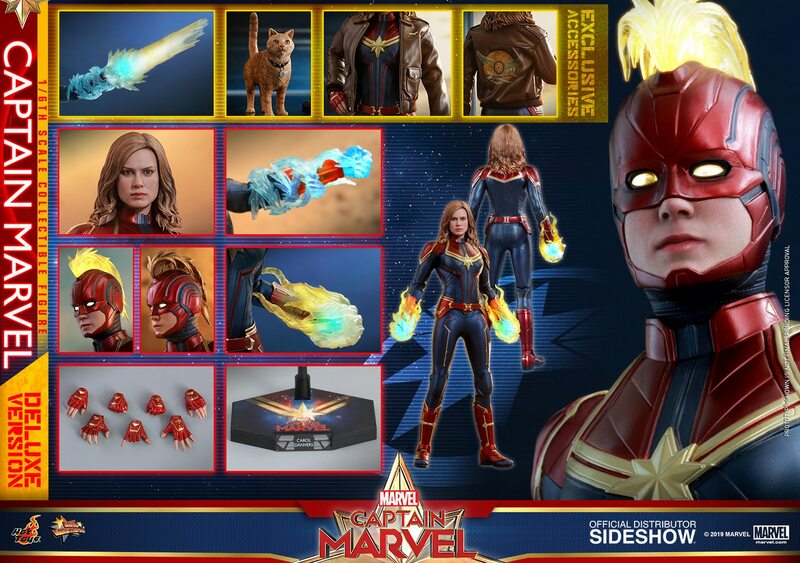 The shoulder pads are an interesting addition, since they were not shown in the concept art if I remember correctly. They don't look too bad, but are a bit fiddly to get in a decent position when posing the figure. The head sculpt is a definite highlight for me. 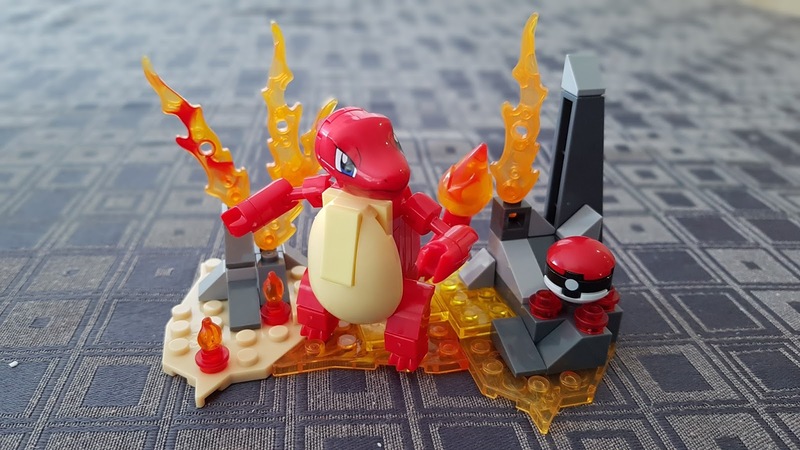 Looking at the prototype figures, it wasn't clear how they were designing the face. The choice they've gone with using a disfigured face that is then covered by a battle mask is a perfect combination for this series. 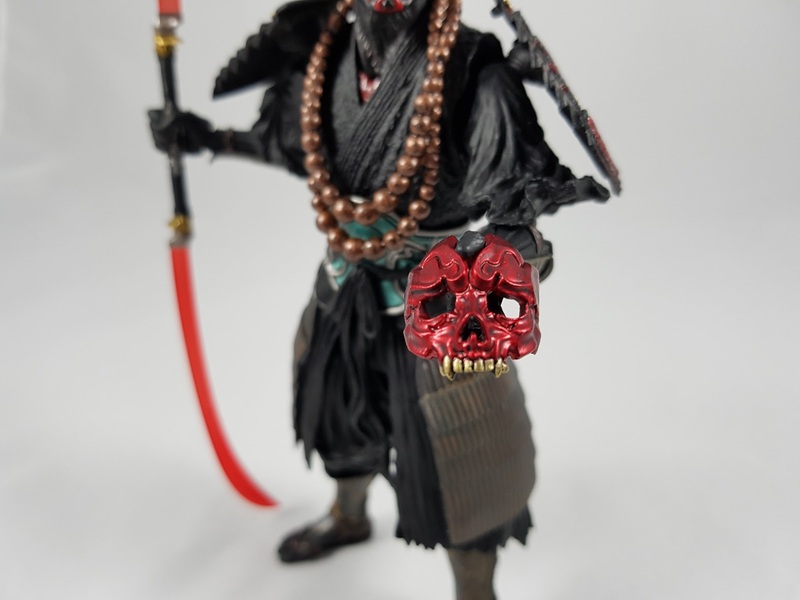 The menacing sculpt is a fantastic representation in this feudal Japanese style, especially with the "sohei" sub-title meaning he's a warrior monk. The base head sculpt is nicely sculpted, with little flames coming out of the eyes. The teeth are also nicely painted, as are all the tattoos on his face. The only main nitpick with the head sculpt is the colour bleed of the red onto the golden horns. I was able to rub off some of the red paint that had made its way onto the horns, but not all of it. 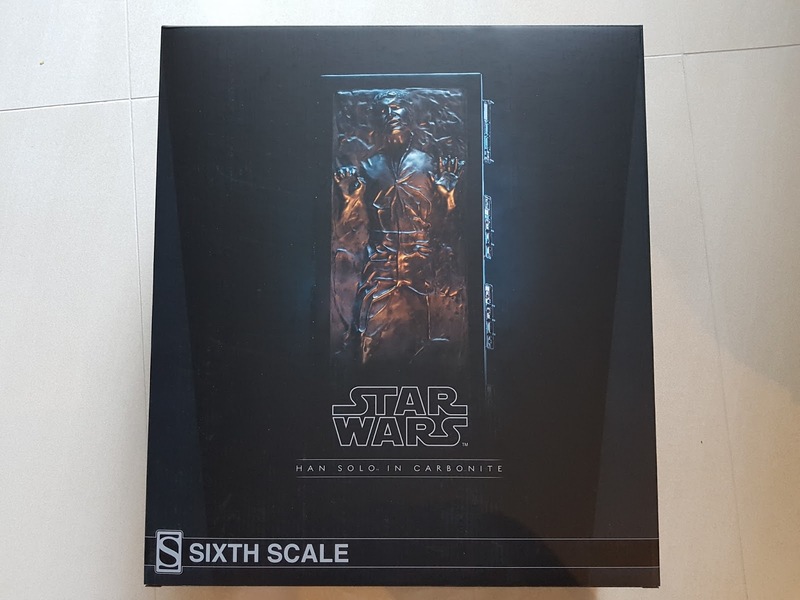 It's not too noticeable in amongst the black weathering, but was a little annoying and should've been avoided at this price point. 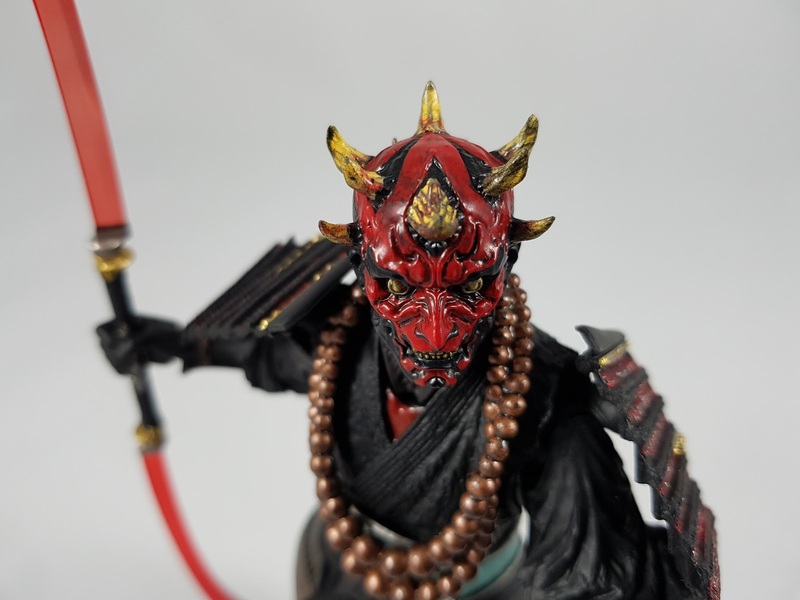 The battle mask is painted in a nice glossy red, and is made of a softer plastic so that it can be placed over the horns and top half of his face. 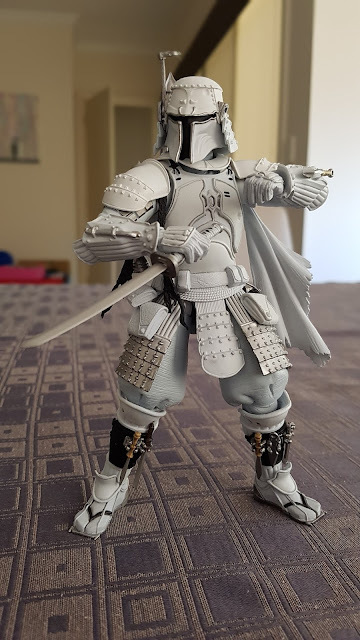 There is a warning in the instruction book that placing the mask may rub off paint on the figure, so I'd avoid using it or taking it on and off too much. I actually think the base disfigured head sculpt looks better without the mask, since the mask makes the top half of the head stick out a bit too much. 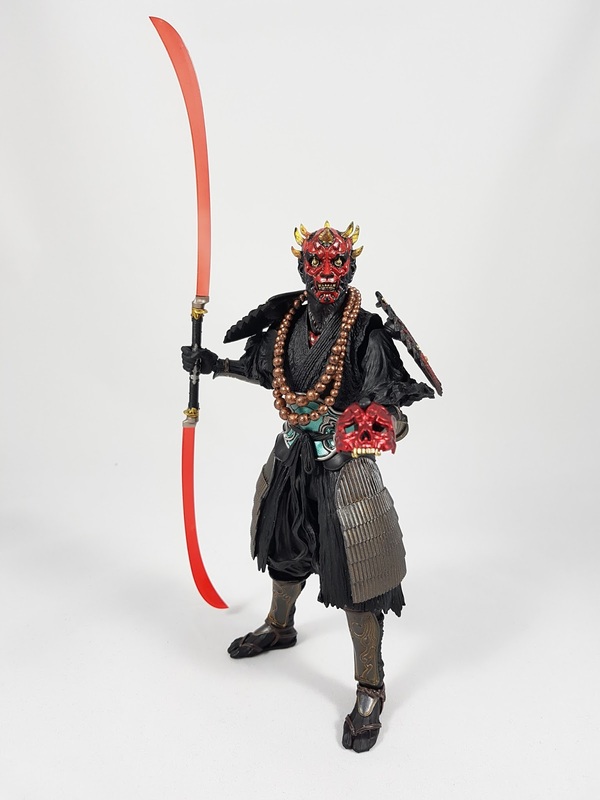 In the end, I think he looks better on display holding the mask in some way. The doubled hilted scimitar is beautifully designed, and I love the gentle curvature that it gives in truly ancient Japanese / Chinese style. The transluscent red plastic is similar to Vader's, and looks great with light passing through it. 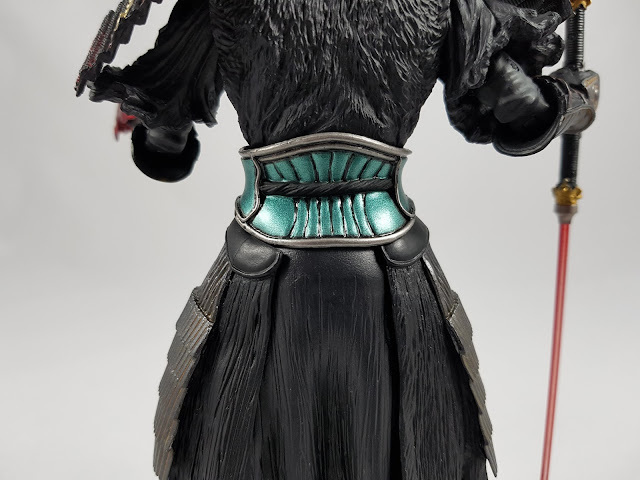 The hilt itself is nicely sculpted and painted too, with gold and silver highlights. 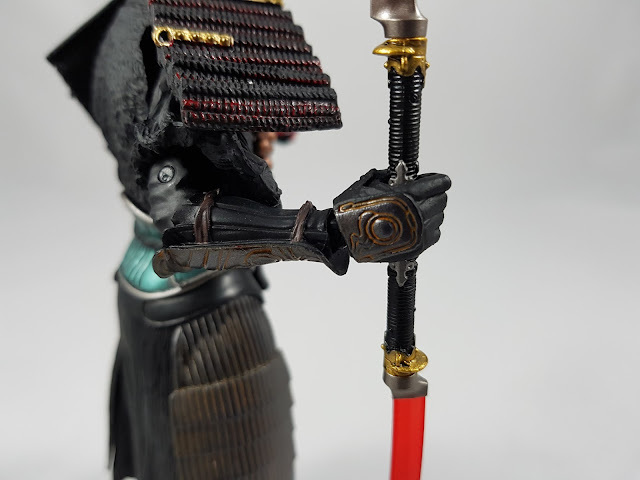 The blade does come apart at the hilt into its separate halves that he can hold in each hand. I love that Bandai even made the little peg removeable that holds the two sides together. This way when he's holding both halves, there's not some strange nub on one of them. 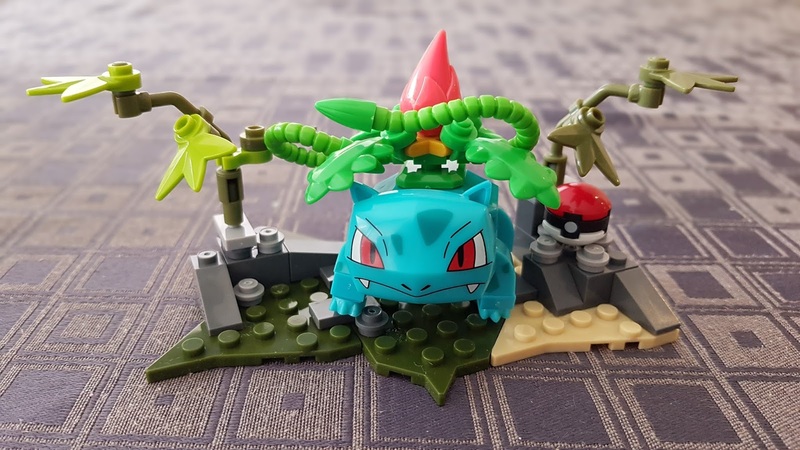 Great attention to detail there. The sculpting and paint app on the costume is pretty good. The forearms and shin armour parts have a nice rust paint application that really sets off the patterning. The waist part is painted in a nice greenish jade metallic colour that offsets the black well. Both front and back are nicely painted. 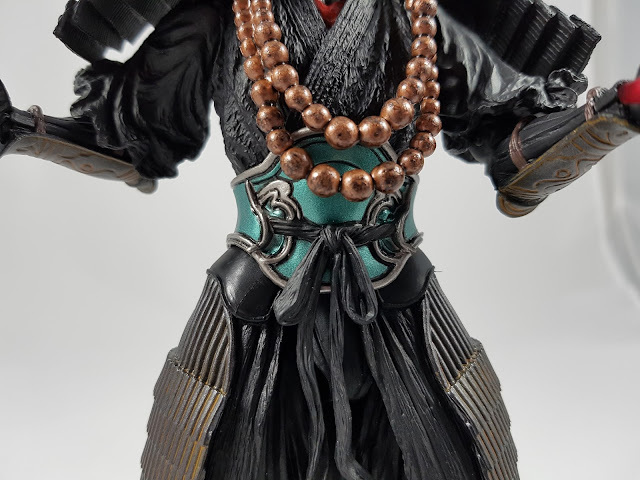 The beads around his neck are removeable, but as a warrior monk I think he looks better with them on. The bronze colour also gives a nice contrast to the black outfit. It's a shame they arent all separate beads held together with string of some sort. They are a single molded piece of plastic that separates out into the two layers of the beads. It's an OK compromise, but separate beads on real string really would've set it off. Displayed with the other figures, it becomes clear to me that this series of figures continues to be one of the most interesting and unique Star Wars figures around. 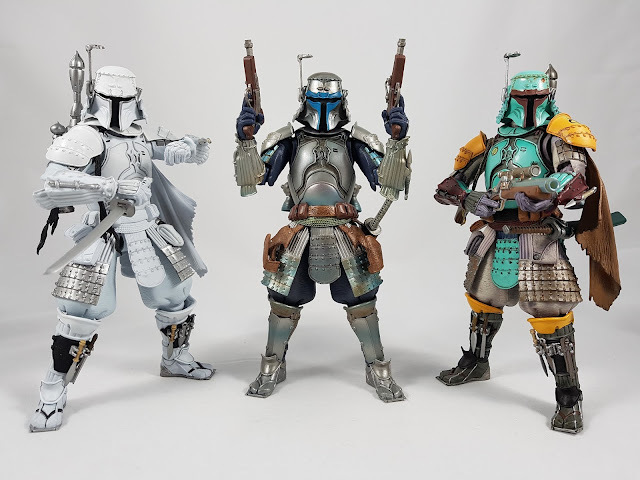 The build quality is great, the style in the sculpting is awesome, and the paints application really highlight the figures to their best potential. There have been a lot of repaints, but if Bandai continue to release new molds of this quality, I'm up to get every figure the release in this series! I hope they announce the Gamorrean Guard and other bounty hunters like IG-88. With more unique characters, this series could truly become legendary! 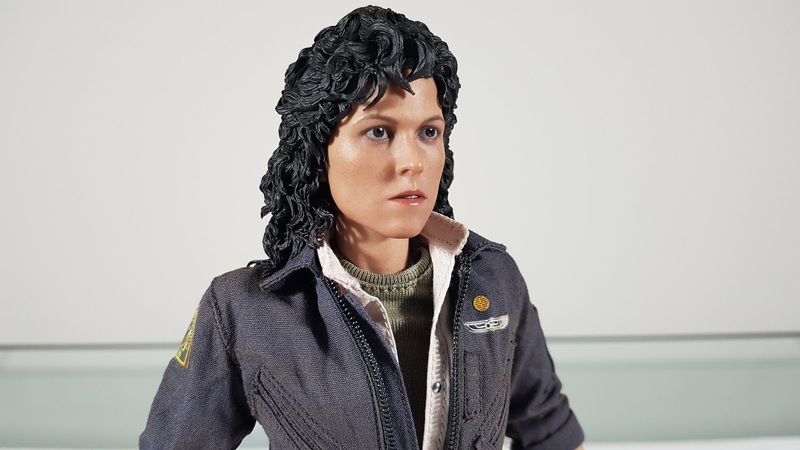 It's been a pretty long wait for Hot Toys to finally release their Ellen Ripley figure from Alien. 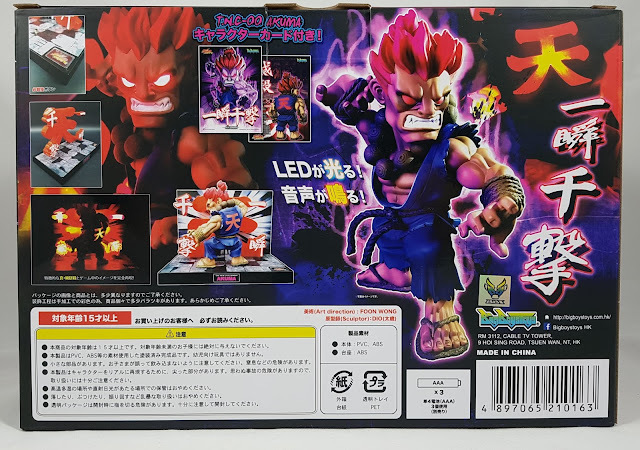 Various prototypes had been shown at conventions, and the preorder was announced back in early 2016 I think, due for a late 2016 release. But delays occurred and the figure was only just released after a delay of almost 12 months. Overall, it's definitely worth the wait to finally add a female screen icon to the collection! Click through below to check out my video review over on the Kool Kollectibles YouTube channel! There aren't a huge array of accessories, but what you do get is decent and done fairly well. 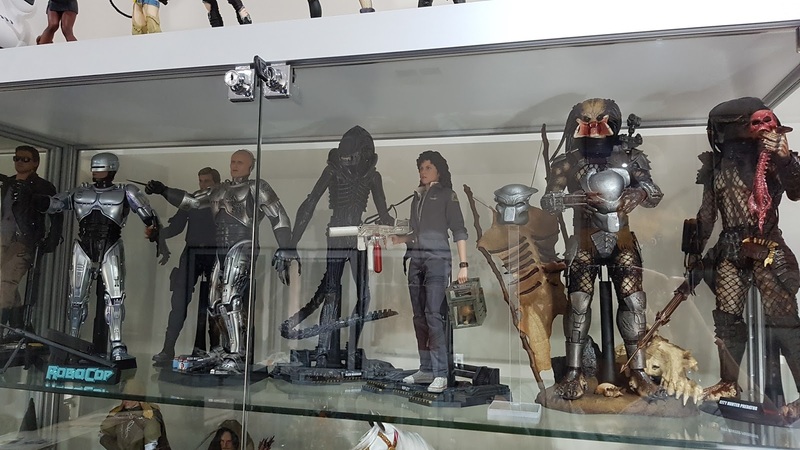 The stand is the same as the one provided with the earlier Alien Warrior with of course her nameplate. The movement tracker and flamethrower are nicely sculpted, with decent weathering and paint application. The cat carrier is also nicely done, and fits Jonesy pretty well. The cat itself isn't that great, but does the job. I'll have mine displayed inside the carrier so no big deal there for me. The head sculpt is pretty good, and would look even better if they had given it rooted hair instead of the sculpted hair. The sculpted hair is OK, with decent detail, but sits a little wide and lacks some of the natural fall that rooted hair would've given. The facial paint app and eyes are the usual high Hot Toys standard. The open mouth expression is good too, and from many angles the likeness with that expression is quite accurate. The costuming is awesome, with nice use of materials and stitching. The outer jump suite is nicely weathered with a dirt wash, with lots of little details in the pouches, zips, and fabric ties. The costume also includes the cream shirt and green tshirt underneath. Together, the different layers give a nice accurate outfit that represents her character perfectly from the movie. Articulation wise the body has everything standard 1/6th figures should have these days. 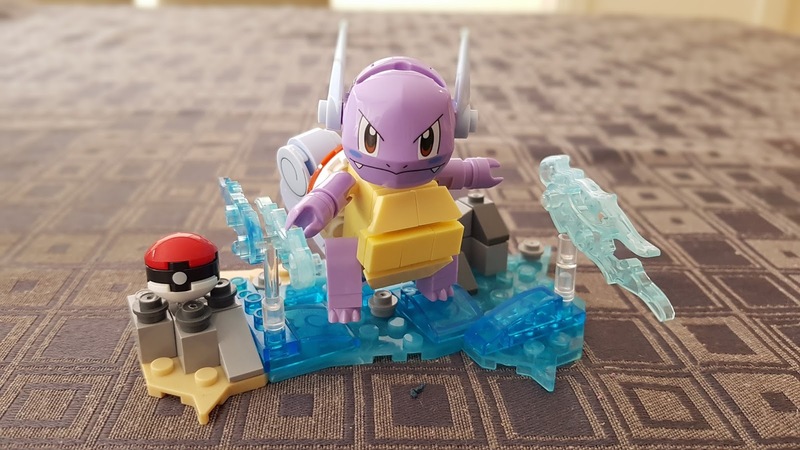 However, the joints are a bit loose, especially around the hips and knees. 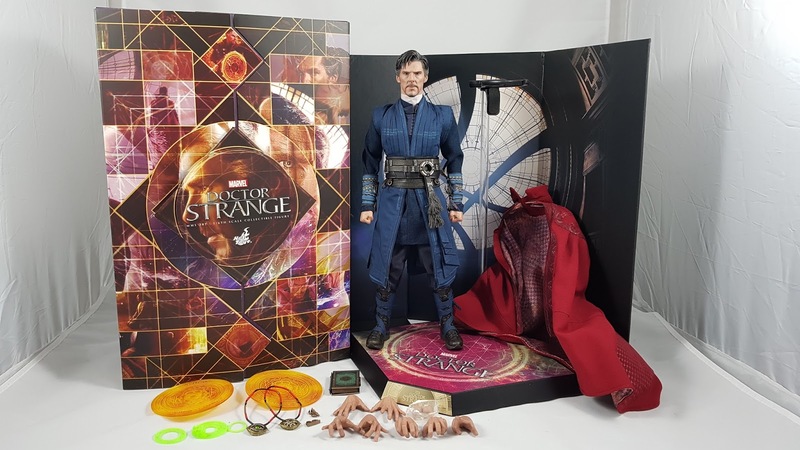 They are much floppier than other Hot Toys figures I've had, so hopefully this is just a once-off and not some drop in overall build quality on their part. 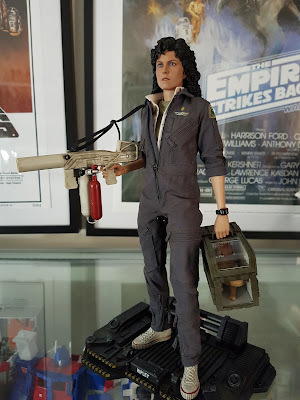 For my collection, it's great to finally add one of my favourite female heroines to the classic action movie shelf. 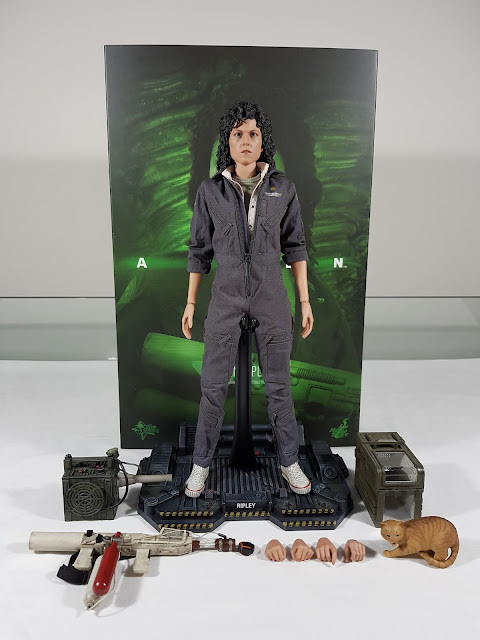 I really do hope Hot Toys announces the Aliens version of Ripley with the Power Loader. I'd definitely make room somehow in the collection for those two! The head sculpt from the original release of the Asmus Aragorn figure wasn't too bad, but certainly had room for improvement. 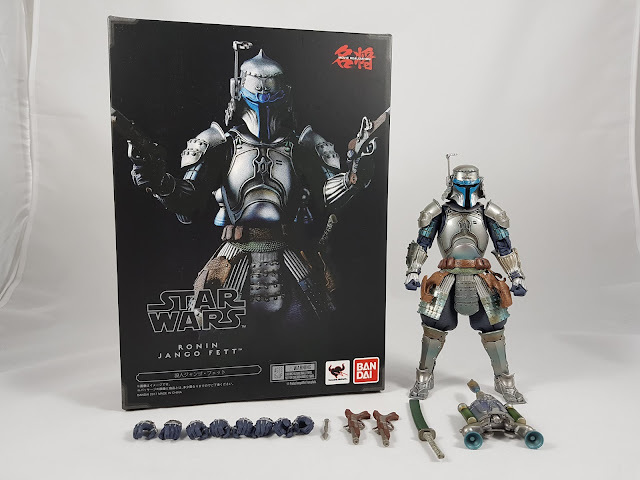 Recently Asmus has made a point of releasing upgrade sets that collectors can order to improve their previously released figures. 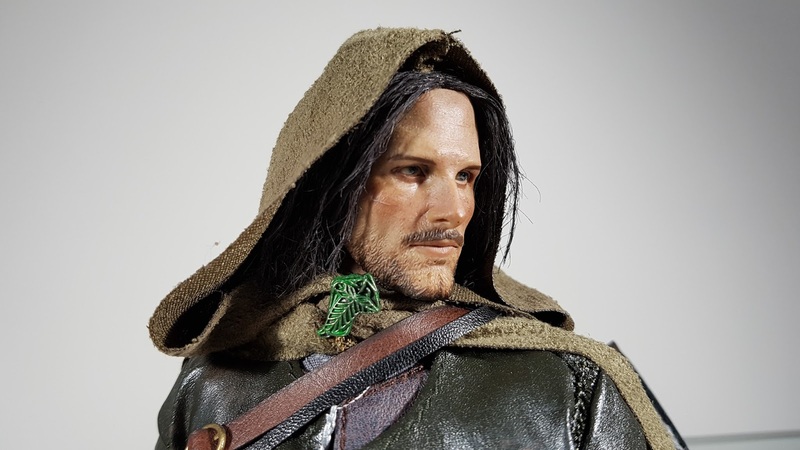 In the case of Aragorn, the upgraded head sculpt provides essentially the same head sculpt, but with rooted hair. It certainly has pros and cons when compared to the original sculpted hair version. Click through below to check out my video review over on the Kool Kollectibles YouTube channel. It definitely needs some patience to futz the hair into something that looks natural. I'm still not quite there I think, but at least to a point I'm happy enough to put it up on display. I think the hair looks fairly natural, especially if you're able to get some of the strands to fall across the face to give it a more natural wind swept look. 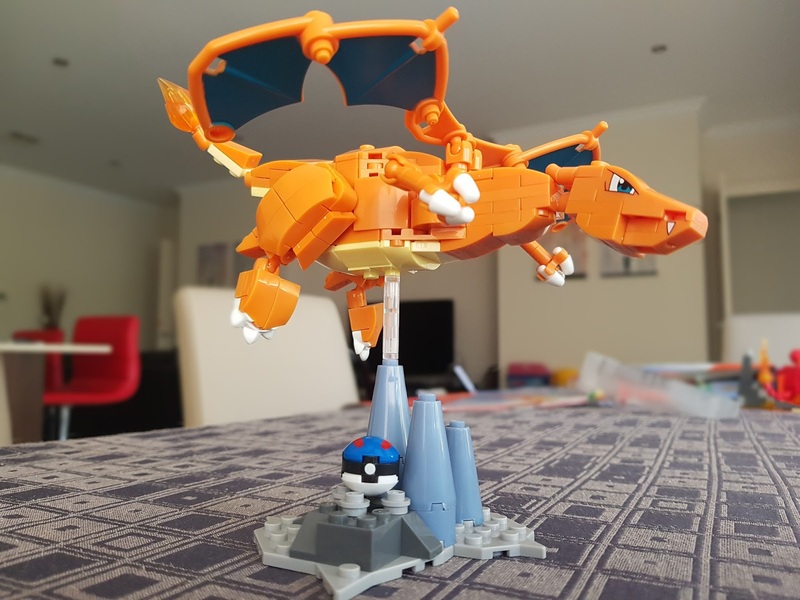 One thing to watch out for is the neck joint. 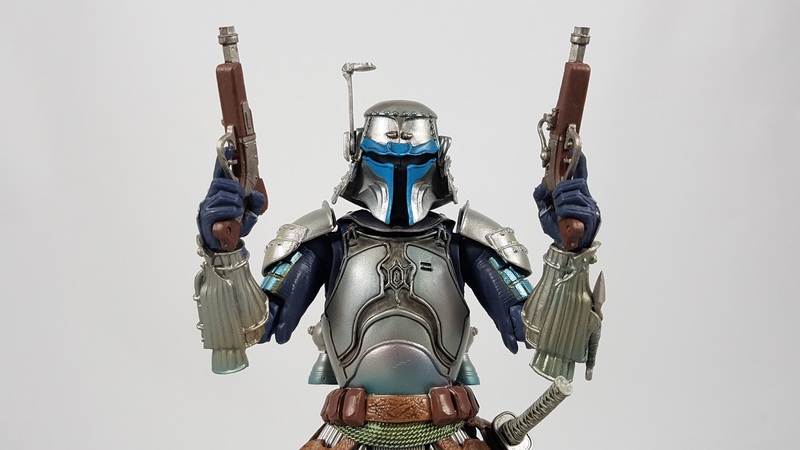 Apparently first batch releases of the sculpt did not include the neck peg, so collectors could not attach it to the body! Asmus sent out neck pegs, and a 2nd batch of head sculpts that had the neck peg included, and luckily I got the 2nd batch version. Still, the neck peg makes the head quite loose on the figure so it's hard to position the head properly. In the end, I'm glad Asmus is trying to improve their products by giving collectors the option to buy these head sculpts. I'm certainly looking forward to seeing how they do with the upgraded Merry, Pippin, Frodo, and Sam sculpts! 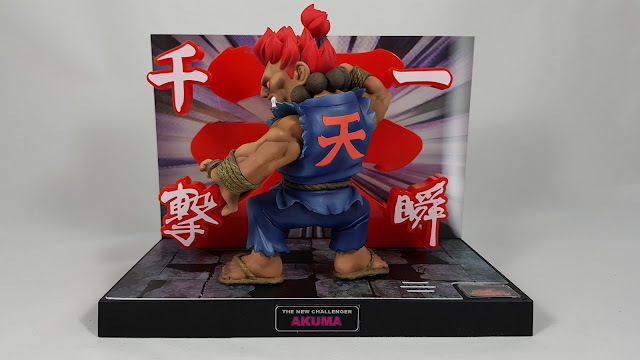 I've picked up each of the characters from this awesome Street Fighter series by BigBoysToysHK, and each one just gets better and better! This new Akuma has the usual great sculpt, lighting, and sound effects! Love the box art! 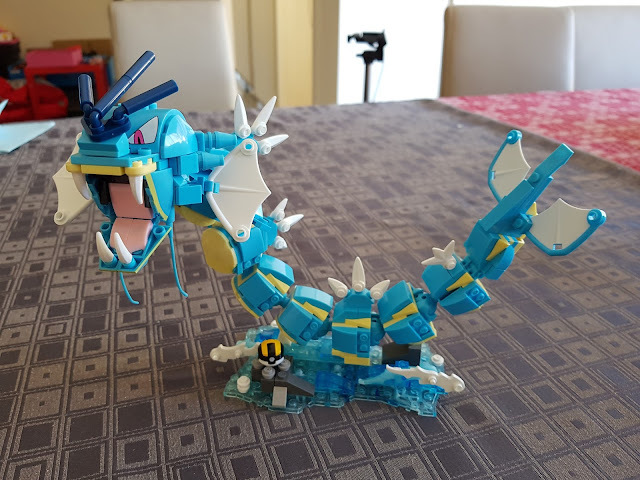 Perhaps their most detailed so far! It's a shame the base only allows the statue to face one direction. The sculpt and paint app looks fantastic no matter the angle, and I probably prefer him from the front! Definitely glad that a company like BigBoysToys really shows their love of the original Street Fighter statues. 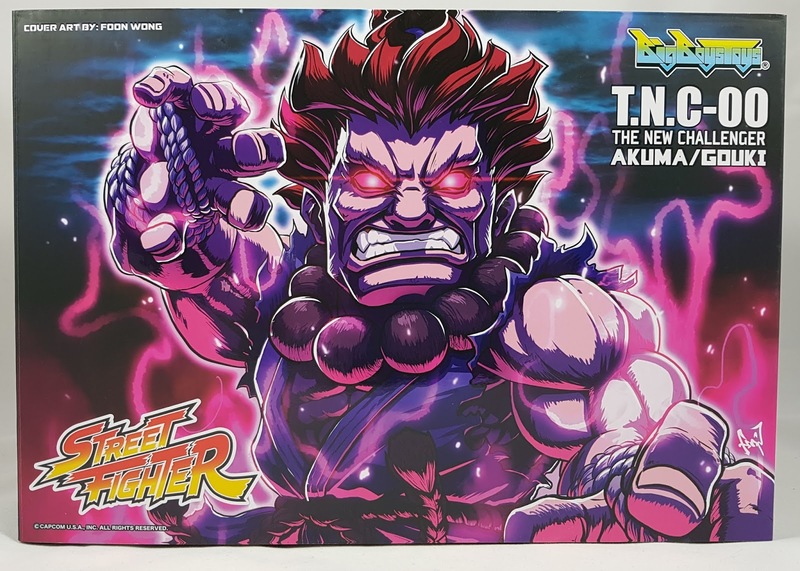 It looks like E.Honda and Vega are up next. Cannot wait to add them to the collection! After getting Superman and Batman from BvS back in 2016, it took Hot Toys seemingly forever to finally release the corresponding Wonder Woman. In hindsight, I probably should've cancelled my order and just waited for the teased Justice League version. The prototype of that at recent conventions certainly appeared to have a superior head sculpt. In the end, I probably would've been too impatient to wait another 12+ months for the next Wonder Woman figure. This one that has now been released isn't too bad, but it's far from perfect. 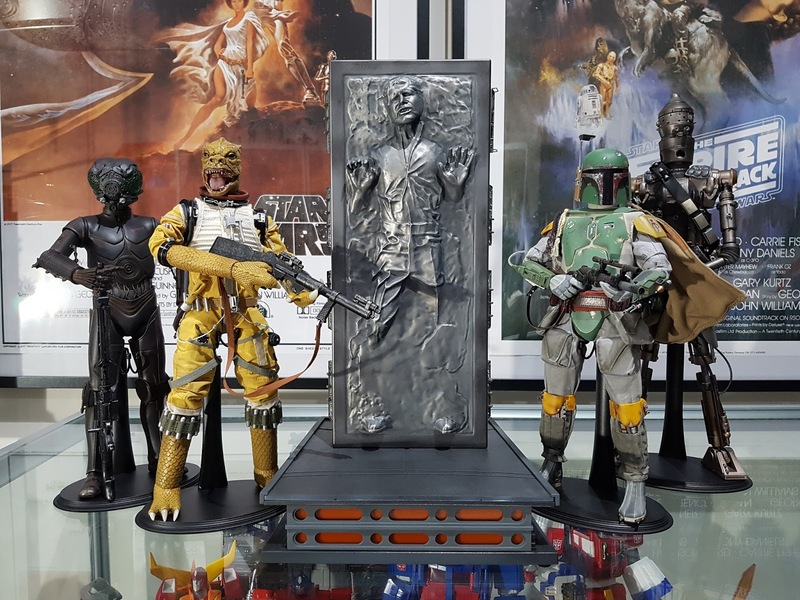 I wouldn't count it up there with the best from Hot Toys. 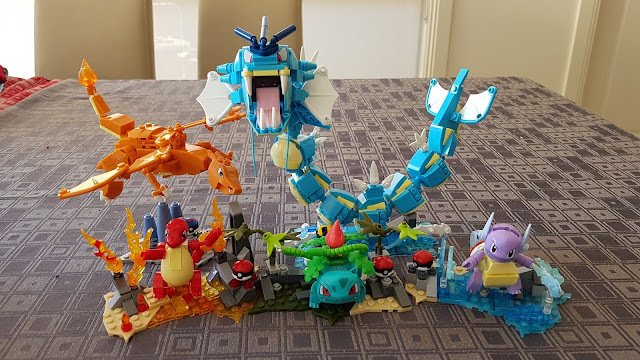 Click through below to watch my full video review over on the Kool Kollectibles YouTube channel. She doesn't come with too much in the way of accessories, but what she does have is a pretty accurate reflection of how she appeared in the movie. The base is the usual excessively large style similar to Superman and Batman before her. I hate it, and much prefer the previous small black oval stands. Simply yet classy, whereas these are just too big and you have to use the stupid pole and waist grabber. The assortment of hands suit her lasso, sword, and shield. 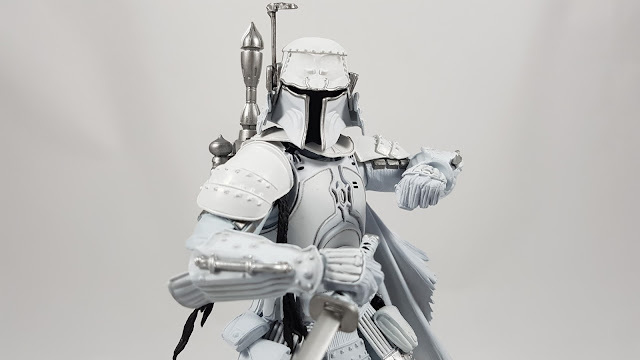 It's unfortunate that the sword is such a soft plastic as a metal one would've been a nice touch. 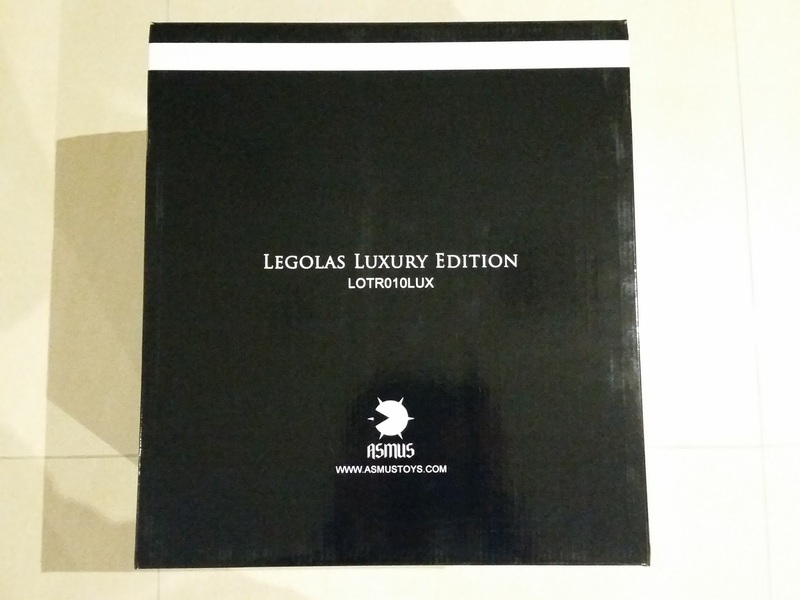 It is nicely detailed, but a premium material would've added an extra high-end touch for this price range. The shield is also plastic, and takes a bit of work getting her to hold it in a decent way against the arm. I was wary of having it rub against the skin of her arm, so just watch out when you are adjusting the arm position. The arm band also takes a bit of effort to put on, and you have to rotate it in certain directions to minimise any rub against the skin. The paint on the skin is very easy to damage, so go slow and steady. Over time, I think the arm band will stain or leave marks on the skin, but it should all be underneath the band itself out of sight. Getting her hair to fall naturally was tough. I ended up not really doing too much to it with water or any other product, and just tried to keep it neat behind her shoulders. Other collectors are far better futzers and posers than I, and have made her look great in some photos. I am happy enough with her in this static pose next to the other two. On posing, the articulation is pretty limited, and every move I was terrified of damaging her skin in some way. So it's unlikely that I'll be moving her too often if at all! Any rub on the skin would leave marks that would be near impossible to remove. The instructions do describe the limits of movement, but many of my joints were very tight, such as the knees. In the end, I just didn't feel like it was worth the effort trying to move her in case I damaged something! 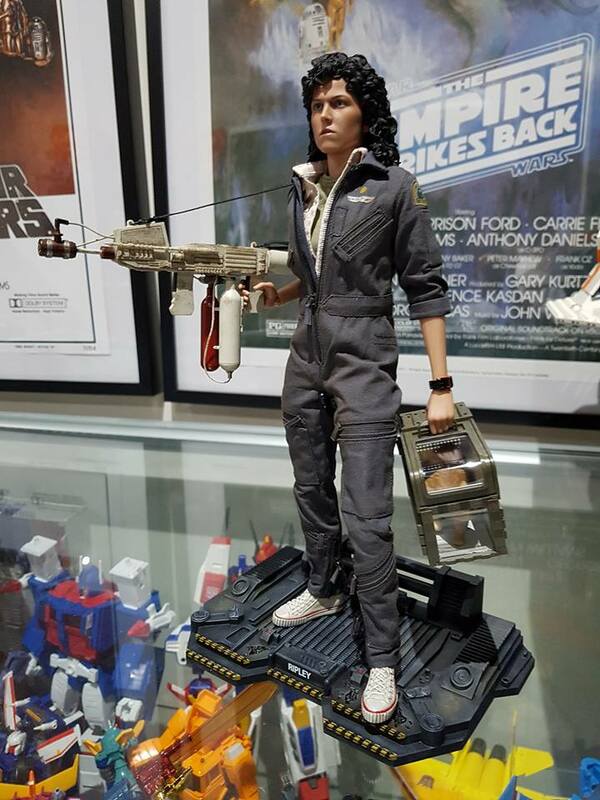 I also worry that the shoulder strap may leave marks over time on the shoulder, but that's her look in the movie so I'll leave it on. The strap connects via one of the crappy press studs that Hot Toys continues to use, and I've heard quite a few reports of breakages already. I broke similar studs on my 1989 Joker jacket and 1966 Batman cape, soI hate these with a passion. 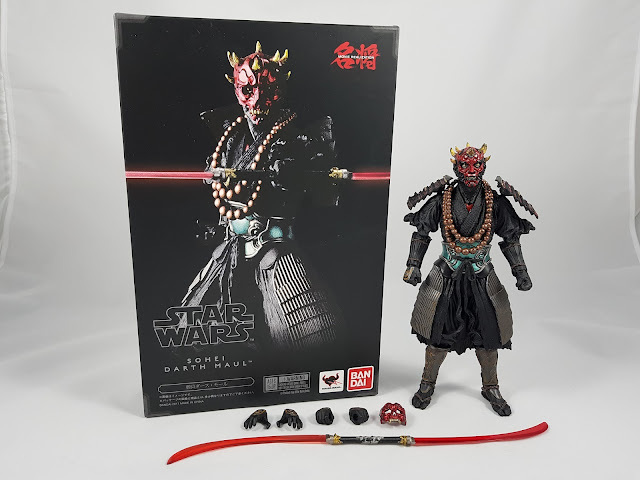 Hot Toys should change to using metal studs like other companies, but continues to use cheap plastic ones. On the outfit, I also had the same problem as some others where one side of the rear blue skirt has a larger gap on one side (see video review where I show it). The skirt was simply not assembled in a perfectly symmetrical manner, resulting in that gap. But luckily it's at the rear, so I didn't bother trying to fix it since it's not seen on display. The red and gold torso section is nicely done, but be careful of any moisture residue to paint fade. Out of the box, every time I touched the torso, there would be some sort of residue left on my figures. This has gone away with time, but just be careful not to touch the armour and then touch the skin. 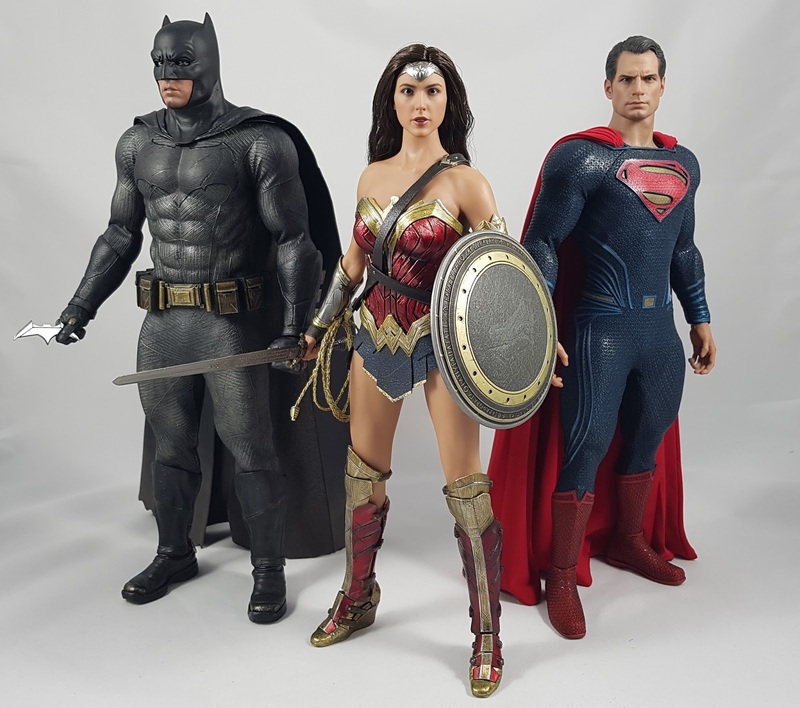 Overall, I'm glad to finally complete the Trinity from Batman vs Superman, but it's definitely not one of Hot Toys' best figures. 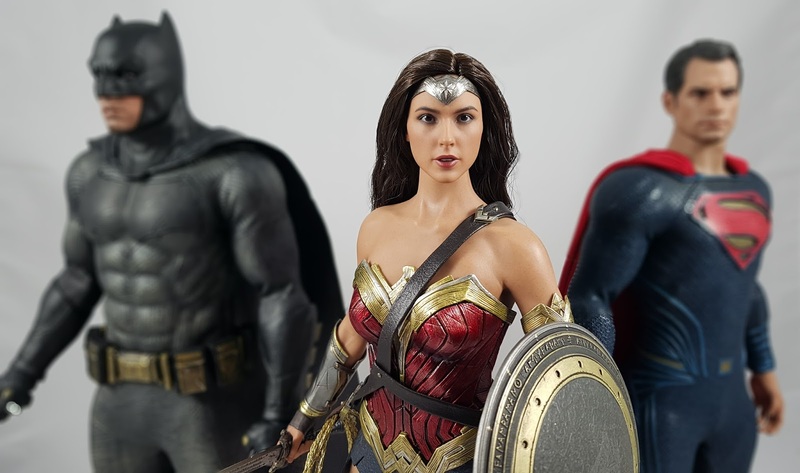 With a better head sculpt likeness coming for the future Wonder Woman figures, I'd recommend holding off and seeing how they turn out.